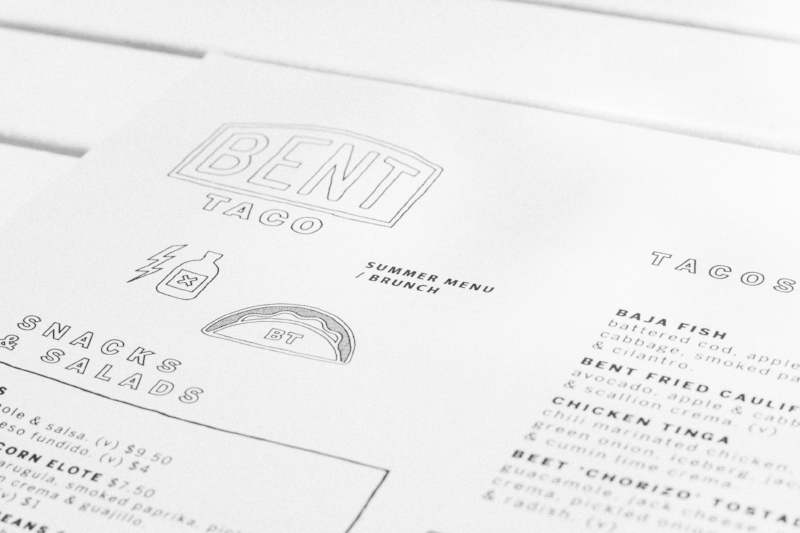 Two years and I still have the most love for my friends over at Bent Taco. Always killing it in the area of tacos, burritos, tots, and THE BEST cocktails. I've said it before and I'll say it again, I love when restaurants implement seasonal menus. I think it makes the experience fun, fresh and keeps things vibrant, especially in our small community. To think they couldn't possibly become any cooler, they surprised us with BRUNCH. I'm the most excited about this addition because my life revolves around hash browns, egg sammies, and mimosas. So, put brunch and Bent together and that my friends is the best news to hit the stands. Almost always, I'm easily persuaded into getting the drink special. Mostly because I love trying new creations and I've never been disappointed by any concoction that Cassie Mackell whips up behind the bar. So my advice to you, always get the drink special. Today I experienced something a little magical while I sipped on my Pippin's Punch. The notes of passion fruit and kiwi that are layered in this cocktail transported me to a beachside moment in Koh Tao, Thailand. It gave me all the nostalgic feels. Super fan of this one - it's a keeper! K, but let's talk about the food. Of course you can still order up your favourite tacos, but now they whip up crispy fried beans, a watermelon chop salad, vegan breakfast burritos, and heuvos supreme (YUP, that's tater tot supreme with a yolky egg!!!!). I was into it all! A fun new way to enjoy brunch on Saturday + Sunday. And to top it off, they are now serving iced coffee courtesy of Good Grief Coffee Roasters. Now that is the bomb diggity. Get your caffeine, get your tequila, get your tots and that my friends is how you do the weekend. Side note: When I've found a really good restaurant, it's like finding a new best friend. I will be loyal, excited and talk you right up. Glad we're friends, B. Keep doing you Bent! Much love.